QOTW: Would you pay more for a custom or a Kenner? It’s just like me to open up a can of worms, but it is something to think about. For me personally, my most expensive doll was my (first) Kenner. She was an eBay auction that I was determined to win after having saved and set aside all of the over time that I had earned over the summer. 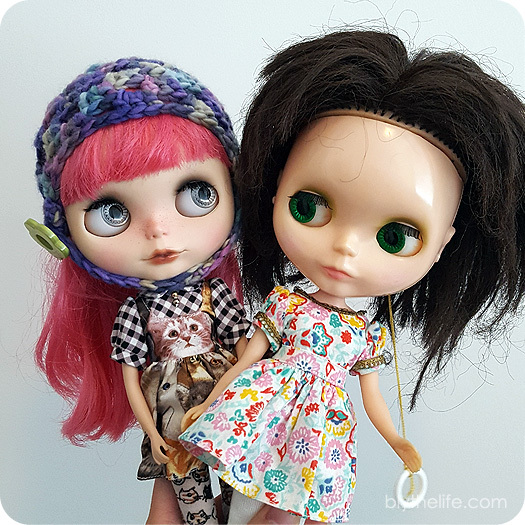 In comparison, my two custom dolls (both bought secondhand, both are Friends With Blythe customs) were considerably cheaper compared to any of my Kenner Blythe dolls. This is in part to the fact that the customizer wasn’t active in the community, and at the time wasn’t a highly sought after artist. There are certain names, of which I’m sure you can think of right now, that command top dollar. 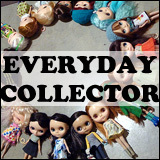 When a doll starts hitting four digit price tags (especially before the conversion of USD $ to CAD $), I get a bit antsy. I’m always aware that the Canadian dollar is doing poorly compared to the American counterpart. That $30 doll dress turns into a $50-plus purchase after taking into fact the costs of shipping to Canada and the price conversion. With the way that the market currently is, and how poorly the dollar is doing, I’m highly resistant to actually buying new dolls right now unless it’s an incredibly good deal – whether it be a Kenner, a custom, or a stock doll of any kind. The dollar isn’t kind at the moment. However, I think for the right custom (or Kenner! ), I’d be willing to open up my wallet. Chances are though, I’d spend more on a Kenner than a custom (but that’s just where my personal preferences are). Would you pay more for a custom or a Kenner? Cameo’s wearing: helmet/Cakewalk Queen, dress/Plastic Fashion, leggings/Endangered Sissy. Prim’s wearing: dress/Endangered Sissy, capris/Fancy Pansy stock. We are going to completely ignore the fact that my Petites aren’t wearing very spring-summer clothing. This is because I don’t actually have spring-summer Petite-sized clothing for them. 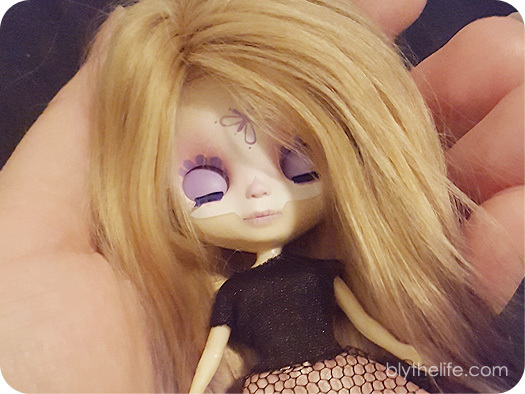 (I’m a bad dolly owner, aren’t I?) That said, I actually got them off the doll shelf for a photo and what I did do was marvel at how small they are. Yes, they are called Petites, but still – they’re small! Today is just a little bit of a Petite Appreciation Day. They often get over looked and ignored – partially because of their size, partially because they’ll never be quite as popular as their Neo-sized big sisters. Top photo (left to right): Shrimp and Chickadee. 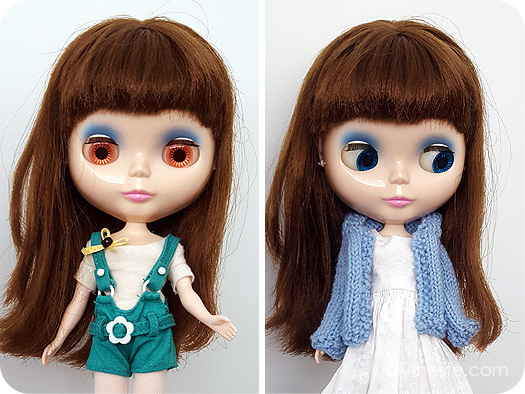 Bottom photo: Lark (Sirenita custom). QOTW: How long does it take to do full outfit changes? This is a loaded question because for me it really varies. 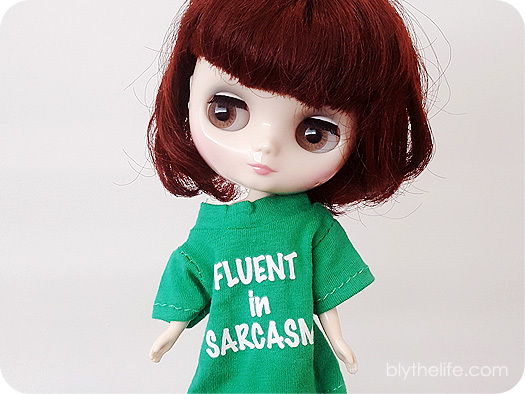 I still haven’t fully unpacked since moving last summer (I’ve been busy…), so I’m not 100% sure where all of my Middie Blythe clothes are (in which case it doesn’t take much to change their outfits because I don’t know where all their clothes are). 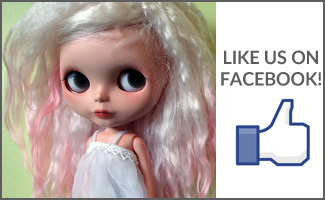 For my Blythes, it really depends. If I’m taking them to a meet, it could take anywhere from 5 minutes to 30 minutes depending on how many dolls I plan on taking. The more dolls I decide on, the longer it takes. And then comes the added time of getting on the tights or socks if I’m going for a completed outfit. 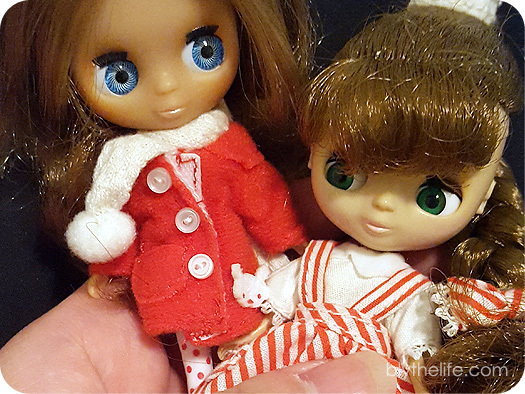 A lot of my dolls haven’t had a proper outfit change in a really long time (yes, feel sorry for them, I do too!) and I recently decided to change Kindred’s outfit. She’s been in this outfit for definitely more than a year. Possibly close to two. 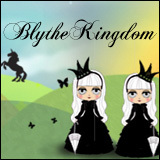 I’m terrible at times when it comes to being a Blythe owner (I’m really sorry, Kindred). And it took me about 15 minutes to come up with what I wanted to put her in and another couple of minutes to do the full outfit change. I find sometimes it really depends on my mood as that kind of determines how long I wind up sitting on the floor, pawing through drawers of tiny clothes. How long does it take you to do full outfit changes? Kindred was wearing: top/Joelle (swap), overalls/Nostalgic Pop stock. Kindred is wearing: cardigan/made by me, dress/Giulia (swap).